The Acer Aspire S13 S5-371-71QZ is an ultra slim laptop. Its chassis is made from aluminum for the top and the base and magnesium composite for its body. The Microsoft Windows 10 Home 64-bit system features a 2.5 GHz Intel Core i7-6500U Skylake processor (Turbo Boost: up to 3.2 GHz), an Intel HD Graphics 520 GPU, 8 GB PC3 LPDDR3 SDRAM and a 256 GB SSD. Its 13.3-inch Full HD IPS display has a matte finish. Hence, it is not reflective and it is easier to use it in the sun. In addition, the display features a good brightness distribution and good viewing angles. Wireless Networking is possible via Wi-Fi 802.11a/b/g/n/ac and Bluetooth 4.0. The connectivity includes two USB 3.0 ports, a USB-Type-C port, an HDMI port, a headphone/microphone combo jack and an SD card reader. The laptop is lightweight at 1.27 kg and its battery lasts up to 8 hours during a mix of web surfing, emailing and word processing. While I’d have liked to see a larger SSD than 128GB (the same as the UX305CA), if you’re in the market for a great-value ultraportable then the Acer Aspire S 13 is worth considering if its price drops. It isn’t as refined as some of its pricier rivals, but it’s a solid machine with a long-lasting battery and comfy keyboard. Windows is back with a bang this year. Laptops like the Acer S 13 offer a low-cost alternative to Apple machines, with comparable stamina and portability at a little over half the price. Typical of Acer, the look is a little quirky, and we imagine some of you may prefer the all-aluminium style of the Asus ZenBook range. However, the Acer S 13 combines good keyboard quality, excellent battery life, a good screen and Intel’s Core i-series processors, and that quartet is hard to beat. This is one of the best mid-price ultra-portable laptops around. 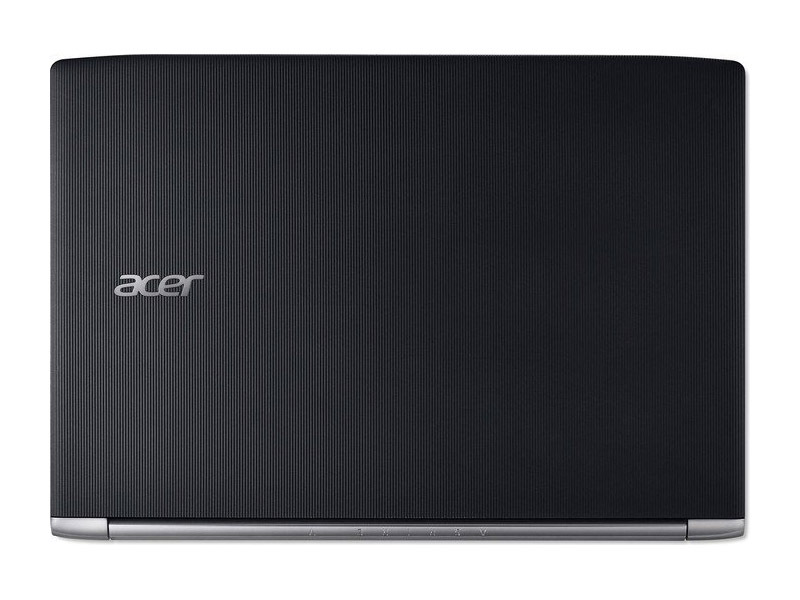 The Acer Aspire S13 (S5-371) is priced at Rs. 83,999 and has a 2 year warranty, which is quite aggressive considering the specifications and overall dimensions of the laptop. The S13 also has a good display and a powerful set of speakers which make it good for multimedia playback. If you're looking for this model online then chances are you won't find it, since it's currently only being sold through physical retail stores. With most premium Ultrabooks boasting of aluminium or carbon fibre bodies, the S13 has to make do with plastic, which is the only real downside to it. In an increasingly crowded Ultrabook market, the little Aspire S 13 manages to stand out among the competition. It's tough to find an affordable notebook with as many features. While the Acer has its flaws, its performance more than makes up for it, and the price for all those features is too good to overlook. The Acer Aspire S 13 is a great all-rounder at the right price but the best part is that it holds a few key features that really stand out. 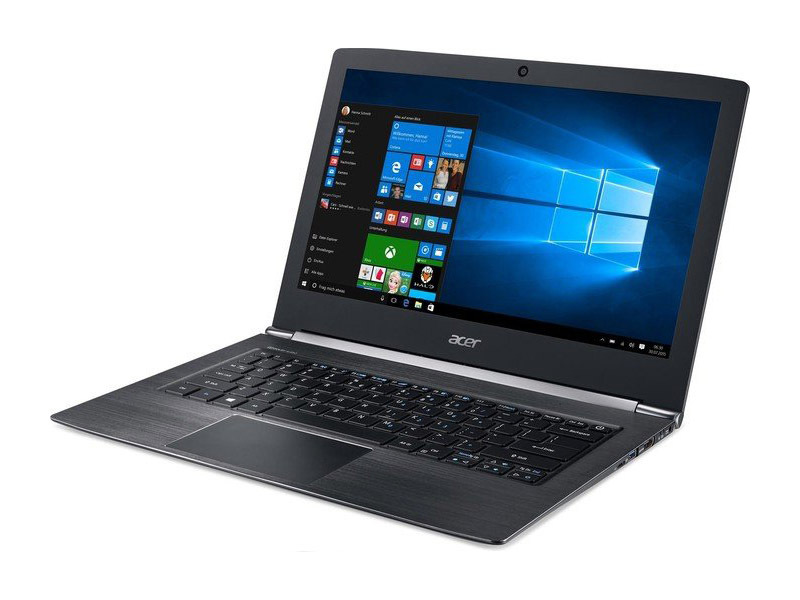 We can start with the excellent build quality and even though the design is shared with the famous Acer Aspire V15 Nitro Black Edition and the Acer Aspire V5 series, it’s like a refreshing new look in the portable devices segment of the market. The result is sturdy, elegant and mobile chassis. Probably the only notable drawback in the design is the shallow keyboard. Positive: Premium materials; excellent touchpad; wide viewing angle; powerful processor; quality sound. Negative: Weak Intel HD Graphics 520. Positive: Compact size; lightweight; elegant design; silent system; long battery life. Negative: High price. 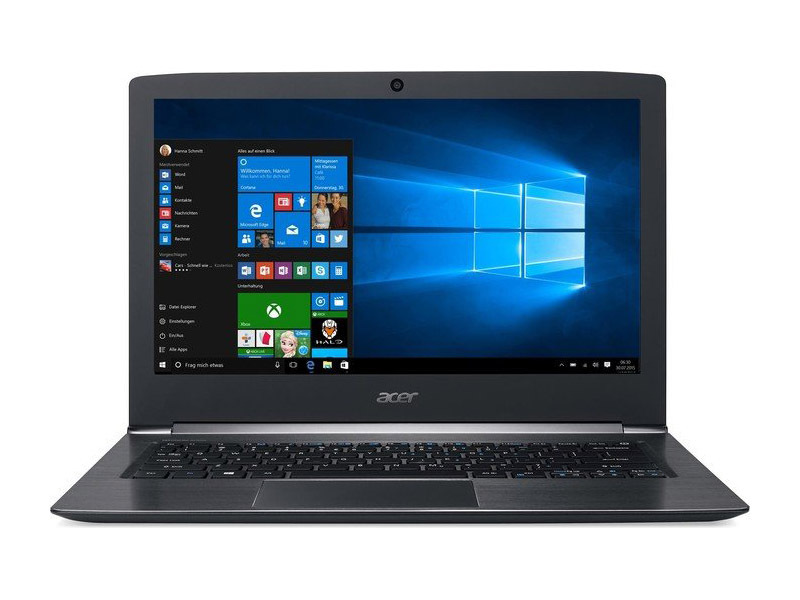 The Acer Aspire S13 S5-371-56VE is an ultraportable laptop designed for office and multimedia users who are looking for portability on the go. The design of the laptop is stylish, its chassis is light, thin and well made from a high-end mix of aluminum and magnesium. The Window 10 64-bit system comes with a 2.3 GHz Intel Core i5-6200U processor (max. Turbo Boost frequency: 2.8 GHz), an Intel HD Graphics 520 graphic card, 8 GB PC3 10600 RAM, and a 256 GB SSD. Its matte 13.3-inch Full HD IPS screen is suitable for outdoor use. The full-size keyboard features a backlight. The connectivity is good with one USB 3.1 port, two USB 3.0 ports, an HDMI port and headphone/microphone combo jack. The device lacks a DVD burner, but there is a multi-card reader included. With 1.42 kg and a height of 1.5 cm it is light and slim. With disabled WiFi and minimum brightness, the battery lasts up to 13.5 hours. The Acer Aspire S 13 is an excellent Ultrabook that offers a great level of value for its sub $1,000 price point. Equipped with competitive specs including a sixth generation Intel Core i5 CPU and a lightning fast 256GB SSD the laptop is perfect for productivity. Not to mention it also looks fantastic. The 13-inch non-imprinted cover is well built and offers a unique aesthetic that stands out among the homogeneous collection of MacBook clones on the market. If you're looking for a great student laptop or a machine for frequent travel, or if you just want a lightweight laptop that can go the distance, the Acer Aspire S 13 is one of the best bargains around. For $749, you get a speedy Core i5 processor, a 256GB SSD, a colorful full-HD display and more than 9 hours of battery life, all wrapped up in a svelte package that doesn't ape Apple. The latest Aspire notebook starts at $699, roughly £485, yet offers Intel's Skylake sixth-gen Core processors. That undercuts even the well-priced Asus ZenBook UX305 by over £100. Overall the Acer Aspire S13 has some well considered design elements, but fails to feel super-premium when handled. Which is befitting of its price point, really: the S13 is a beacon of potential in the mid-level market rather than the MacBook Air-beater it so wants to be. But take it for that and there's plenty to please from this slender and suitably priced laptop. For less than a grand the Aspire S 13 looks like a solid fully-featured Windows 10 laptop with a great screen, decent performance and a tasteful design. I have a few misgivings about its cheap feeling keyboard and mouse, but hopefully these annoyances will be rectified as Acer gets closer to the final production model. Like the just-announced Acer Switch Alpha 12, the Aspire S 13 will ship with Intel Core i3, i5 or i7 processors with the U suffix, meaning they’ll be low-power, dual-core chips. Don’t discount them, though, they generally have excellent performance in most modest tasks such as web browsing and document editing. They’ll also be capable of some light photo editing. I'd imagine the models in the UK will get 8GB of RAM, although a paltry 4GB might be a possibility. 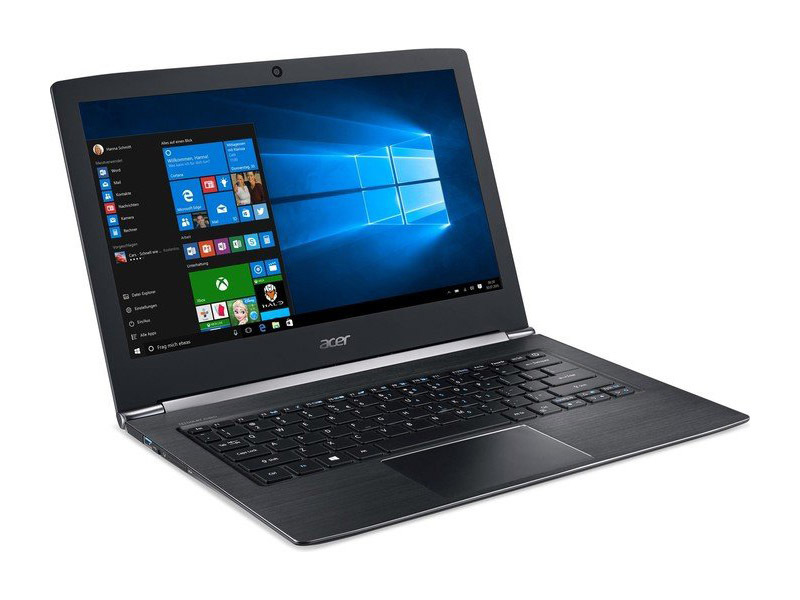 The Acer Aspire S13 S5-371-52JR is a thin, light and long-lasting laptop that is ideal as a student laptop or a laptop for those you travel frequently. The laptop looks sleek and striking with its textured nano-imprint cover and obsidian black or white color. The Microsoft Windows 10 64-bit Home system features a 2.3 GHz Intel Core i5-6200 dual-core processor, an Intel HD Graphics 520 graphics card, 8 GB LPDDR3 RAM and a 256 GB Serial ATA/600 hard disk. The laptop sports a 13.3-inch Active Matrix TFT Color Full HD LCD with features such as ComfyView and IPS. The display is colorful and bright and, thus, suitable for watching videos and working outdoors. The keyboard offers a comfortable typing experience and the touchpad allows fairly smooth navigation and supports Microsoft Windows 10 gestures. The connectivity includes two USB 3.0 port, a USB Type-C port, an HDMI port, an audio combo jack and an SD card reader. In addition, the webcam is also decent for video calls via Skype. 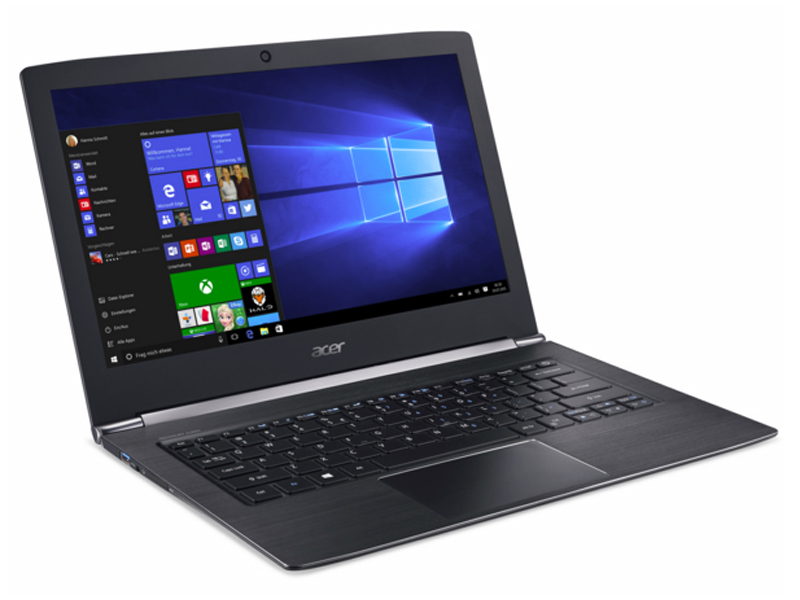 The laptop weighs 1.3 kg and its battery life lasts up to 11 hours according to Acer. 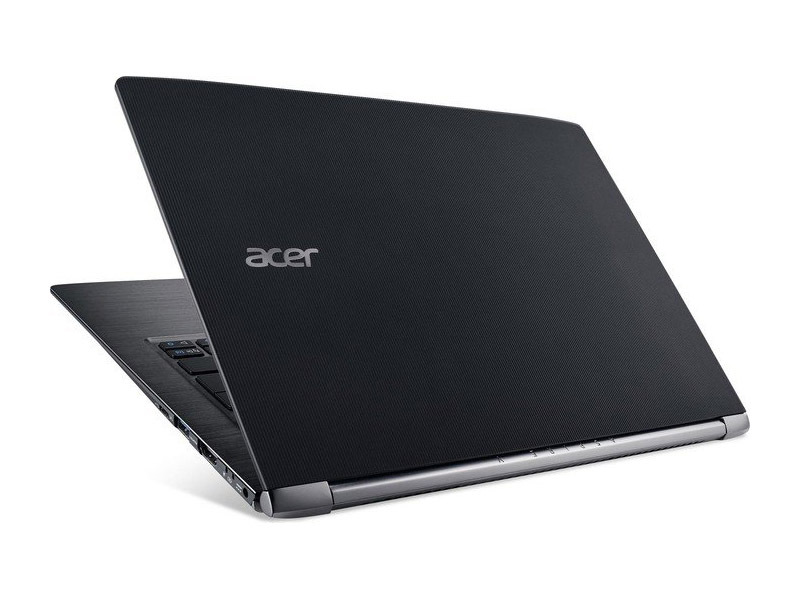 Acer Aspire S 13 is a competent execution of the affordable ultrabook formula many manufacturers now use. It has a nice 1080p display, strong Core i5 processor, and lightweight design, all for an affordable $750 price of entry. It’s a perfectly reasonable PC, and anyone who purchased one could use it for years without much complaint. The Aspire S13 is one of the better ultraportables you can get these days for a decent amount of money. It offers a good screen, fast hardware and decent battery life, all packed in a thin and fairly well built package. It's not as stylish or as silent as the premium 13-inchers on its class, and it doesn't offer some of the latest features, but considering how much it costs, this notebook is a great buy for the average user. The Acer Aspire S13 S5-371-51UC is a quality and decently priced ultrabook with good looks. Design is modern with clean edges and a brush metal finish inside. The all-black device comes with a solid carbon-fibre textured lid and a full-size chiclet keyboard. It has a typical mid-range laptop build quality, but this is not a deal breaker. The touchpad is a large one making navigation a breeze. Display on the Acer Aspire S13 S5-371-51UC is a 13.3 inch Active Matrix TFT Colour LCD with IPS and LED technology. Color accuracy can be better but the Full HD resolution somewhat makes up for it. The 1.40 kg device comes pre-installed with Windows 10 and is a joy to be carried around due to its thin profile. There is an Intel Core-i5-6200U dual-core processor clocked at 2.30 GHz, 8 GB LPDDR3 RAM, an Intel HD Graphics 520 GPU and a 256 GB SSD as storage. The Acer Aspire S13 S5-371-51UC is equipped with a good array of ports; a USB Type-C port, 2 USB 3.0 ports and an HDMI out. Audio quality is decent, but do not expect anything above average. Battery life on the Acer Aspire S13 S5-371-51UC is suggested to be at around 11 hours with its 3-cell battery. The Acer S13 has no major flaws other than a trackpad that may well get on your nerves for the first week or so. It's otherwise a terrific laptops that has everything you need in a portable computer - and all for an affordable price. A good screen, a decent processor, great battery life and a super-slim, light frame are all major benefits - some of which are class-leading for the price. Add the decent connectivity, comfy keyboard and decent speakers, and you have a real mid-range winner. Positive: Impressive brightness; powerful hardware; lightweight; long battery life; good price. Negative: Uncomfortable keyboard; mediocre speakers. Acer Aspire S5 S13 – Живи Совершенством! Positive: Compact size; stylish design; excellent display; comfortable keyboard; decent hardware; good price. Positive: Good price; nice design; solid workmanship. Negative: Uncomfortable keyboard; short battery life. Positive: Beautiful design; slim size and lightweigt. Acer's Aspire S13 has a touchscreen that resists glare, a thin, light body that resists fingerprints and more solid-state storage than the competition -- plus a fast Intel Core processor, impressive audio and exceptional battery life. This 13-inch Acer is saddled with a stiff, shallow keyboard, and the touchpad's poor palm rejection means the cursor jumps around in documents. Uneven keyboard backlighting and a thick screen bezel detract from the appeal. Positive: Slim size and lightweight; backlit panel; decent hardware; support HDMI connectivity. Negative: No optical drive. I can strongly recommend the Acer Aspire S 13, particularly in the $1399 i5 version, for those who who want a light, thin and practical computer at a reasonable price. And except for those fingerprints, it’s a quite handsome looker as well. Not the strongest, fastest or brightest, but this is a good Windows 10 all-rounder at a reasonable price. Positive: Compact size; low price; high mobility; decent hardware; nice performance. Positive: Good price/performance ratio; excellent display; decent hardware; high autonomy. Positive: Impressive design; powerful hardware; comfortable keyboard; nice display; long battery life; good price. Positive: Ultra thin; light weight; powerful hardware; backlit keys; good connectivity. 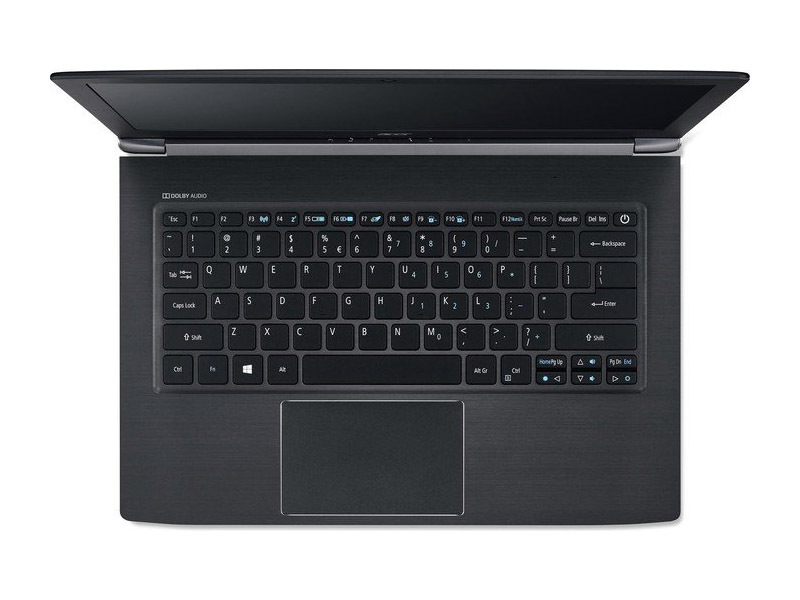 6100U: Skylake-based ULV dual-core processor for thin notebooks and ultrabooks. Offers an integrated HD Graphics 520 GPU and is manufactured in 14 nm. 80.63%: This rating should be considered to be average. This is because the proportion of notebooks which have a higher rating is approximately equal to the proportion which have a lower rating.» Further information can be found in our Notebook Purchase Guide.